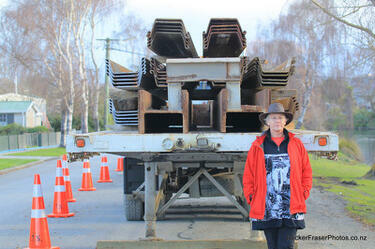 A photograph of Moira Fraser standing in front of a truck on Avonside Drive. 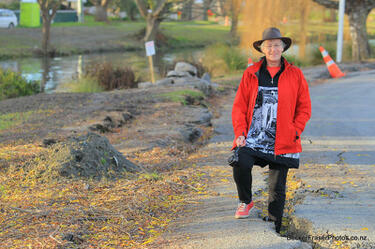 A photograph of Moira Fraser standing in a large crack on Avonside Drive. 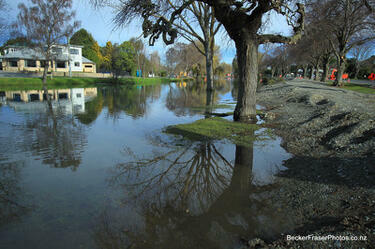 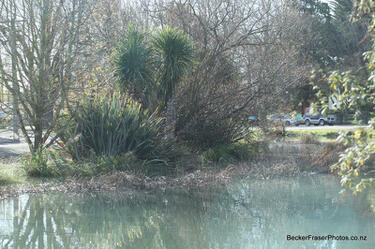 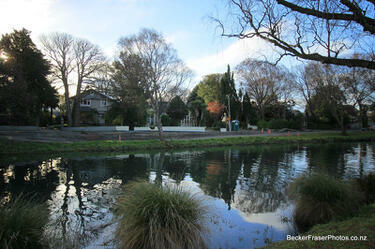 A photograph of River Road, seen from Avonside Drive. 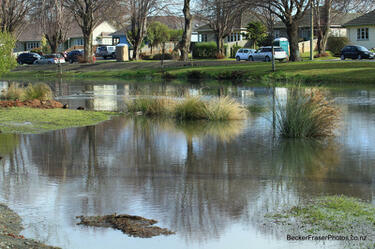 A photograph of Avonside Drive. 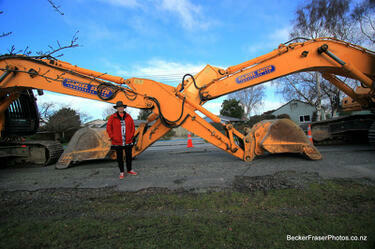 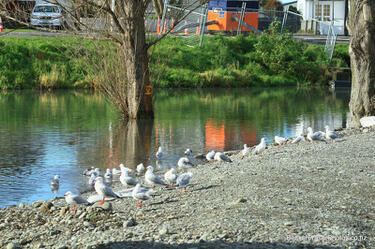 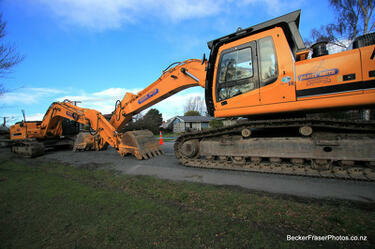 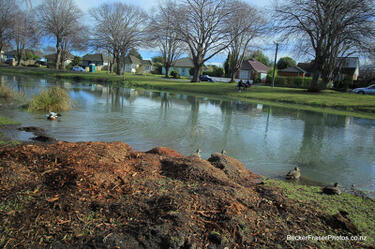 A photograph of diggers on Avonside Drive. 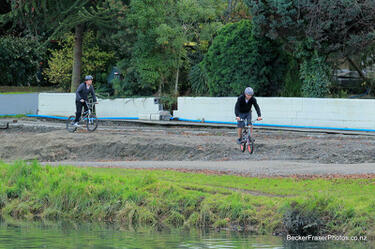 A photograph of children riding bicycles on River Road. 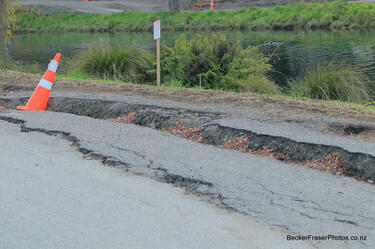 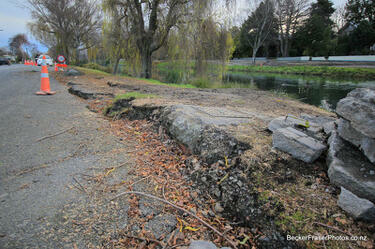 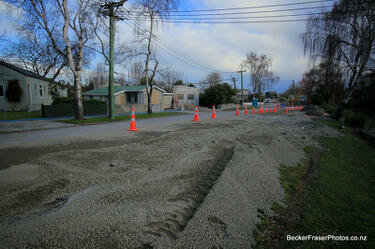 A photograph of a large crack on Avonside Drive. 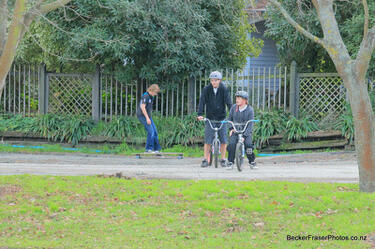 A photograph of children on River Road. 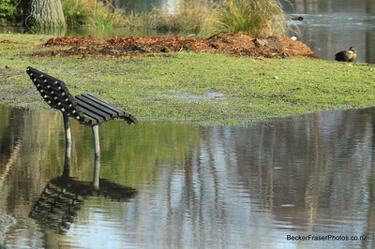 A photograph of a bench on the banks of the Avon River. 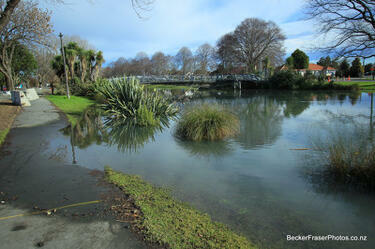 The water level is up over the base of the bench. 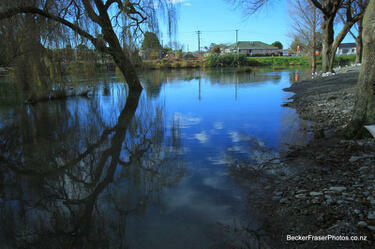 A photograph of the Avon River. 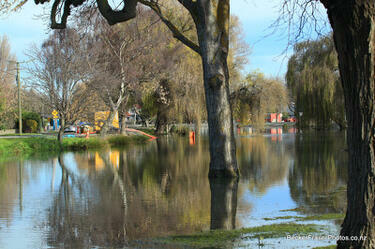 On the far bank is a temporary pump. 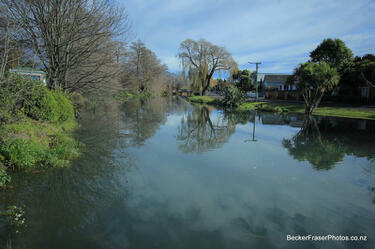 A photograph of the Medway Street bridge.